The following article by Eric Best was published in the June 2 -15, 2016 issue of the Southwest Journal. 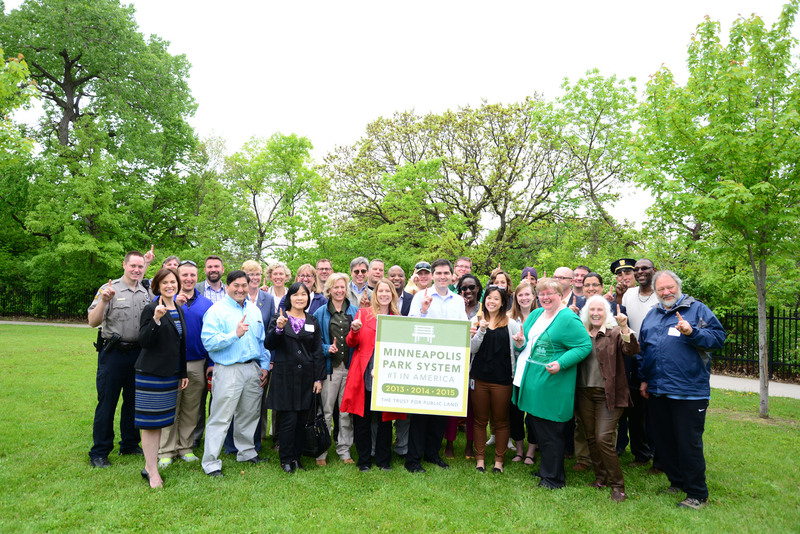 Minneapolis park officials celebrated a No. 1 ranking from The Trust for Public Land both this and last year. The Minneapolis park system is once again the country’s best, inching passed St. Paul, which took second place. Last year the Twin Cities tied for the top spot in The Trust for Public Land’s ParkScore Index. This year’s index, released May 26, once again gave a perfect score to Minneapolis’ park system. This entry was posted in Miscellaneous, MPRB on June 21, 2016 by citoyen1789.